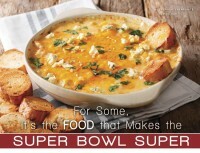 absolutely delicious and loved from coast-to-coast. It’s a crave food and a no-fail stand-by. My mother gets requests for this cake all the time. I gave her the recipe, but she is the one known for it. Her best friend, Stewart Bristow, used to ask her to bake it every time her brother-in-law, Dr. Melton Bristow, would visit from California. He would call in advance wondering if my momma was going to bake THE cake. He passed away last year, so this year Mom made Stewart one for her birthday instead. 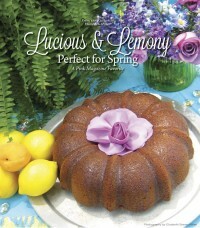 Moist, lemony and a delightful blend of flavors, this cake is a perfect accompaniment for Easter, brunch, lunch, bookclub, or as a scrumptious dessert served after dinner with a little vanilla ice cream. When spring rolls around, I always see the quote: “I was clean for nine months and now my dealer is back...” floating around. Who may you ask is this dealer? Well, she’s dressed from head-to-toe in a green uniform, decked out in earned badges, smiling from ear-to-ear and holding an arm full of cookies. She is your local Girl Scout. 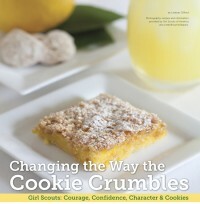 Maybe it’s the limited availability, but there’s little better than a chilled Thin Mint, or tart Savannah Smiles cookie. And now... Pink is bringing you recipes that incorporate your favorite addiction. Mind blown! Colorful and chic, A Moveable Feast is a delightful café that brings international flavors to the Golden Isles you’re sure to relish. With daily specials that span the world, owner Tanya Sergey’s globetrotting cuisine is a delicious way to enlighten your palate. Chef Tanya Sergey’s culinary experience began at an early age. Raised in a multi-cultural family—her father a Russian-American and her mother with German, Polish and Czech roots—Tanya looked forward to well-rounded, Eastern European fare for supper each night in her suburban Illinois, childhood home. When her family moved to California, Tanya began her trek into the restaurant biz as a cashier at the tender age of 13. A true foodie before we used the term, she and high-school friends would host dinner parties just to learn more about cooking. Her desire to soak in knowledge took an international turn when she moved to France to study abroad in college. There she furthered her to cooking skills with only a hot pot and electric wok. “The markets in Paris were cheap and bountiful. Learning to cook was a necessity and delight,” said Tanya. I’m shouting it for the world to hear: “I LOVE Asian food.” Quick, easy, and loaded with vegetables, Asian dishes are a no-brainer when it comes to a flavor-filled, delicious dinner. For this month’s “#worldwidewomen” themed issue, we turned to the best-selling and most widely recognized soy sauce brand: Kikkoman. All seasoned cooks have secret ingredients they use to add that last, elusive layer of flavor to their dish that brings everything together. Asian chefs have been using traditionally brewed soy sauce in this capacity for hundreds of years. During the 17th century, legend has it the original recipe for Kikkoman Soy Sauce was developed and brewed by a resourceful widow in Noda, Japan. And, during the 1600s in the same town, the founding families established the first commercial brewery, which eventually became the Kikkoman we know today. An indispensible part of Japanese cuisine, soy sauce’s popularity began to grow beyond the country’s borders, when Kikkoman started exporting to the U.S. in the 1800s. 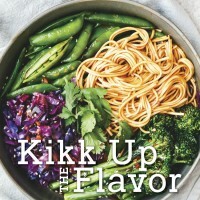 Today, Kikkoman is known for its harmonious combination and subtle balance of the five basic flavors of sweet, sour, salty, bitter and umami (savory). 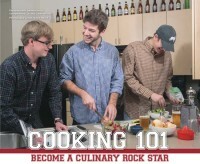 Healthy eating habits are first and foremost in nearly everyone’s mind right now. Whether you are at the perfect weight, or looking to lose some extra pounds, a healthier lifestyle is beneficial to everyone. 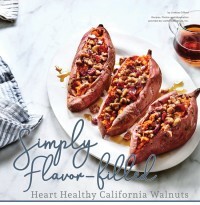 With this in mind, Pink decided to team up with California Walnuts for some hearty, walnut-inspired and flavor-filled recipes with healthy benefits. Packed with nutrients and a delicate nutty taste, walnuts offer unlimited versatility for everything from baked goods to toppings, spreads and sauces. A whole food, rich in Omega-3s, naturally gluten free, sodium free and cholesterol free, walnuts are a tasty powerhouse. In fact, they are a certified heart-healthy food by the American Heart Association, and emerging research demonstrates benefits for gut health and decreasing cancer risk. Christmas decorations are coming out of attics, ovens are working overtime, the smell of evergreen fills the living room, and favorite traditions unfold as December 25th approaches. Every family has their favorite traditions, which help to make memories and bring joy for years to come. Darlene Enright’s tradition is baking fabulous cookies. 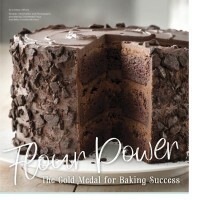 Bottom line: Baking is her thing; she loves it! It started as a hobby and ended up a passion. She has taught her daughter, Courtney, her special talent, and her husband Tom gets included in the fun as the official taste tester. “Tom knows to get out of the house when I have my baking weekend. When he comes back, he gets to eat all the ones that don’t look good,” Darlene laughed. A holiday staple, this creamy, delicious goodness makes an appearance in nearly every course from amazing appetizers to delicious desserts. 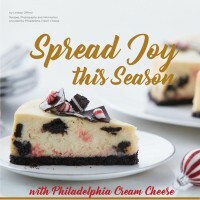 Philadelphia Cream Cheese brings flavor and exceptional texture to our favorite recipes and it’s creamy dreamy deliciousness has made it the No. 1 cream cheese brand in America. With so many Americans heralding it’s excellence, the Pink team decided it would be the perfect finale for 2018’s tasty line up (It’s our favorite, too!). Philadelphia Original Cream Cheese traces its roots back to 1872, and it has been the standard of high-quality cream cheese ever since. Made with five simple ingredients, it is perfect for adding creaminess to recipes. You already love it for standards such as cheesecakes and dips, but be sure to give it a try for making creamy pasta sauce, delectable no-bake desserts, and rich soups. Our advice: Always keep some on hand because everything seems better with the creamy taste of Philly. Holiday traditions are drenched in delectable desserts and delicious holiday staples—all of which tend to bring our healthy eating habits to a skidding halt. 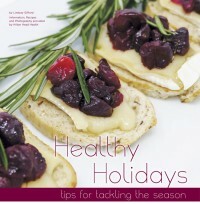 So, this year, we sought out the experts at local weight loss and wellness resort, Hilton Head Health (H3), to help us find a healthy-ish way to get through the holidays. The iconic “Hoo Hoo!” giggle of the Pillsbury Doughboy has been stirring up kitchens across America since 1965. 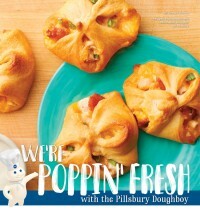 Poppin’ Fresh—yes, the doughboy has a name—was created to help advertise Pillsbury and grew to be the adored brand mascot with lasting star power. He’s been in more than 600 ads for 50 Pillsbury products. From buttery biscuits to flaky piecrusts, this mega-brand has been bringing families to the table for unforgettable fare for nearly 150 years. What is a Whole Grain? All grains start life in their natural state as a whole grain, which is the entire seed of a plant. This seed (or kernel) is made of three edible parts—bran, germ and endosperm. As long as these three parts are still present in the original proportions it is considered a whole grain. 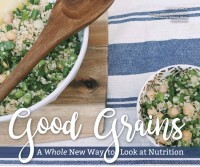 Some whole grains include: amaranth, barley, buckwheat, corn (including whole cornmeal and popcorn), millet, oats, quinoa, brown rice, rye, sorghum, teff, triticale, wheat (including: spelt, emmer, farro, einkorn, Kamut®, bulgur, cracked wheat, wheatberries) and wild rice. 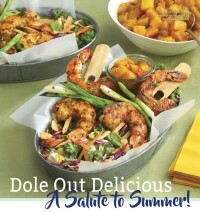 Dole Food Company™ is no longer just pineapples and bananas. Through their rich history, they have grown to be much more these days—just ask Pixar’s super hero family “The Incredibles” about Dole as you enjoy their second installment movie this summer. You and your kids can connect with Incredibles 2 at grocery stores across North America for Dole inspired breakfasts, entrées, snacks and drink recipes along with healthy eating tips and a photo sharing forum. Check out Dole’s special website: www.dole.com/Disney. And Dole is partnering in communities and schools with the non-profit organization Action for Healthy Kids—“every kid healthy and ready to learn.” Because, our kids become healthy heroes when we help to make fruits and veggies fun and positive experiences. It’s true. Cool Whip™ topping makes most things better. For many holiday desserts Cool Whip is a household staple. 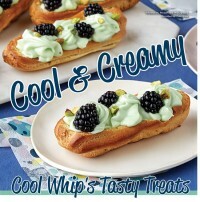 Cool Whip has great recipes created to help us all keep our “Cool”? They really do! There’s nothing cooler, creamier and more refreshing on a summer afternoon than a dessert made with Cool Whip or Cool Whip Light. Or a quick finger whisk into their blue and white plastic tub for a sweet velvet taste—now that’s summertime deliciousness!